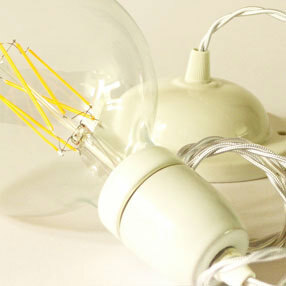 White synthetic silk fabric covered Light Cable ideal for wiring white our white china lampholders. 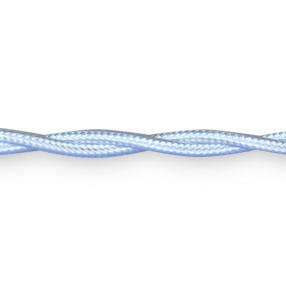 This two core twisted braid flex (4.7mm diameter) is unearthed and for use with plastic/china fittings only. 0.50mm² 3 amp 300 volts. 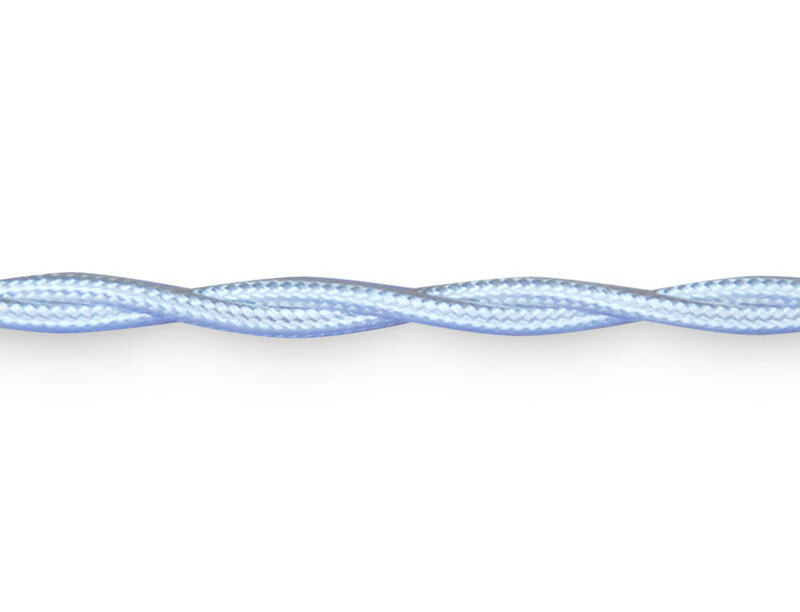 Manufactured in the United Kingdom to BS7655 & BS6500. If you require more info please see our Flex Information page.